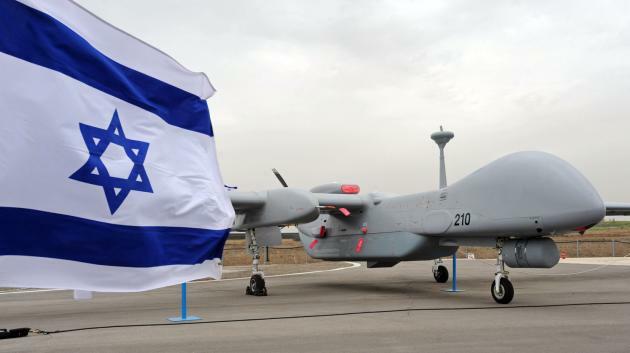 Independent Jewish Voices – Canada (IJV) is highly disturbed by Israel’s expanding export of so-called ‘security’ technologies, which provide it with massive profits through its business deals with Canada and other countries around the globe. It is through the expertise and weaponry that Israel is able to test and develop from its control over a captive and dispossessed Palestinian population that make it one of the world’s leading arms exporters, the world’s leading exporter of drones, as well as a leader in “counterinsurgency” technologies, high-tech weapons systems, surveillance and policing. These commodities and knowledge systems are being depended on increasingly around the globe as a means of pacifying and suppressing local populations. Israeli academic and peace activist Dr. Jeff Halper refers to this as Israel’s “pacification industry”, which is part of a broader global pacification industry. Halper notes that Israel has become a leader in this field through experience gained from its seemingly permanent occupation over the West Bank, Gaza Strip and East Jerusalem. Israel is uniquely able to test out high-tech weapons, surveillance and policing systems on its Palestinian subjects, and market them as cutting edge, having been newly-tested in either Israel’s latest assault on Gaza or Lebanon, or through its military occupation of the West Bank. Halper’s upcoming book, War Against the People: Israel, the Palestinians, and Global Pacification, will provide an in-depth analysis of this growing phenomenon. 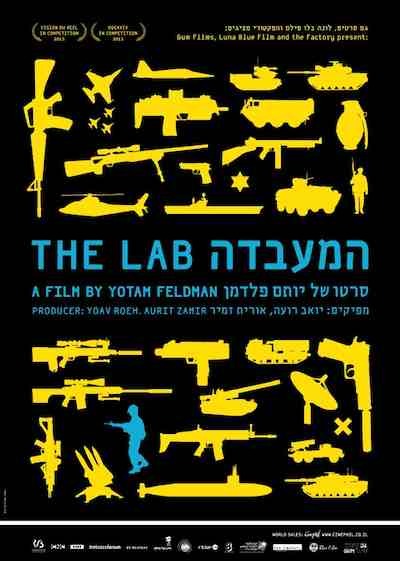 This phenomenon is the subject of a documentary by Israeli film-maker Yotam Feldman called ‘The Lab’. In making the film, Feldman claims that he “witnessed the relationship between a network of military generals, politicians and private business; the use of current military operations as a pomrotional device for private business; the brutal employment of the Israeli experience, and the blurred lines between what is legitimate and forbidden in this line of business.” You can watch an interview given by Israeli scholar Shir Hever with Feldman here. IJV is in the process of researching the ways in which Canada is connected to Israel’s expanding pacification industry. We feel that it is important for us as Canadians to challenge a system of profit from illegal occupation and war crimes, which are values that as Canadians we are starkly opposed to. You can read about how our government has proudly partnered with the Israeli state on pacification systems through the Canada-Israel Strategic Partnership. We will keep this section of our website updated with research and actions that will challenge Israel’s pacification industry so that we ensure that as Canadians we can effectively challenge our government’s complicity in Israel’s criminal behaviour against Palestinians, and that we do not personally profit off of such criminality and human misery through investments made by our pension funds, or other sources of investment. To keep updated on the latest news related to Israel’s global pacification industry, as well as the ways in which the Canadian government is a proud partner of Israel in its violent endeavours, visit our articles page. Richard Sanders of Coalition Opposed to the Arms Trade compiled a list of five Canadian pension plans and their investments in corporations supporting Israel’s military/police/surveillance/prison industrial complex. Access it here. Click here for a list of companies that are complicit in Israel’s criminal assaults on civilian population centres. These companies ought to be divested from immediately. IJV’s Lia Tarachansky of the Real News Network interviews Canadian author Yves Engler and researcher Richard Sanders to discuss Canada’s relationship with Israel in the area of military exports. You can watch it here. Jeff Halper, Greg Albo and Robert Latham spoke in Toronto about the Global Pacification Industry, and the roles played by Israel and its partner, Canada. You can watch the event here.